I am not a coffee person, but I am into mugs. Yes, I love mugs. When a close friend --my partner in crime-- gave a mug as my birthday present, I felt happy. Moreover when I read the saying on the mug, I fall in love with the mug even more. I am not a SHOPAHOLIC! I am just really into stimulating the economy. Thank you my dear friend, you know me so well *hugs*. Sehat adalah kekayaan, kedamaian pikiran adalah kebahagiaan, Yoga menunjukkan jalannya. Living in Jakarta coret aka pelosok, I had never imagined I could experience yoga practice. It never crossed my mind. But as my yoga instructor, mbak Endang said, there's a line in yoga that said, "yoga will take you.'' I guess it's just true. One day I saw a street banner mentioning a yoga studio was just open nearby my home. I registered myself. Joining the yoga practice. Just realize that this January is going to be my second anniversary of yoga practice. As simple as that. Not many yoga books written by Indonesian authors. This book is one of the best books of yoga. Written by Pujiastuti Sindhu from Yoga Leaf Centre, a professional certified yoga teacher. The book explains about yoga poses, movement and all the benefits of yoga in a practical, simple and very clear way. Completed with pictures of the poses and movement and also DVD to get clearer understanding of every pose and movement. The book divides the daily practice of yoga into Balancing Practice, Strengthening Practice, Flexibility Practice and the last one is Calming and Relaxing Practice. A very complete, informative and suitable book for everybody who wants to do yoga practice, even for a beginner. Highly recommended. Let's do yoga daily practice, everyone. Namaste. The busiest people I have known in my life always have time enough to do everything. Them who do nothing are always tired and pay no attention to the little amount of work their are required to do. They complain constantly that the day is too short. The truth is, they are afraid to fight the good fight. Last but not least.... keep telling myself, "38 is just number, young is forever." Javed Sharif, a successful rug merchant, went back to his family home in Srinagar, Kashmir to celebrate his father 84th birthday. He went home along with his dreams to spend a peaceful retirement period there among his family. Unfortunately, his dreams were shattered by a sudden knock on the door on his father's birthday. Just in a very short time, Javed's life turns upside down. The Homecoming is a novel beautifully written by Shashi Warrier, an Indian writer. It's a story about a family --and also other family who live in Kashmir-- that are destroyed by violence and uncertainty over many decades. The author tells his story in a vivid way with strong characters. From a political conflict, it finally becomes very personal. A war always leads to a tragic ending. A long suffering. The innocent victims. No positive things at all. This novel really haunts me even until today. I don't know perhaps the way the author tells his story is so real. My heart goes to all innocent people in Kashmir. Already translated in bahasa by Penerbit Lentera Hati on October 2009. The translation is good enough, my comment is only on the book cover. Lack of color. Looks gloomy. I prefer the english edition book cover. A cloudy Friday morning was interrupted by my little girl's scream, I came closer to her and found out she's surrounded by her several t-shirts, dresses and pants. "What's happened, Zea?" She answered in a more calm tone, "Ma, my t-shirts and dresses have already been too small for me. 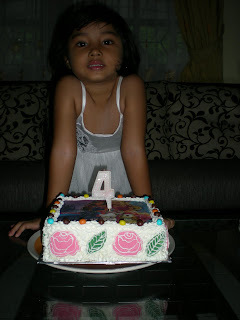 Remember I am now 4 years old." Oh...sorry sweety, sometimes Mama forgets how fast Mama's girls grown up. Well..I guess it's just the right time to rearrange my girls' wardrobe. Finally, here I was busy selecting the clothes inside my daughters wardrobe. These t-shirts were too small, those legging were worn out. Out of the blue I just felt melancholy. These clothes collections brought too many memories. Every piece of it had its own story. 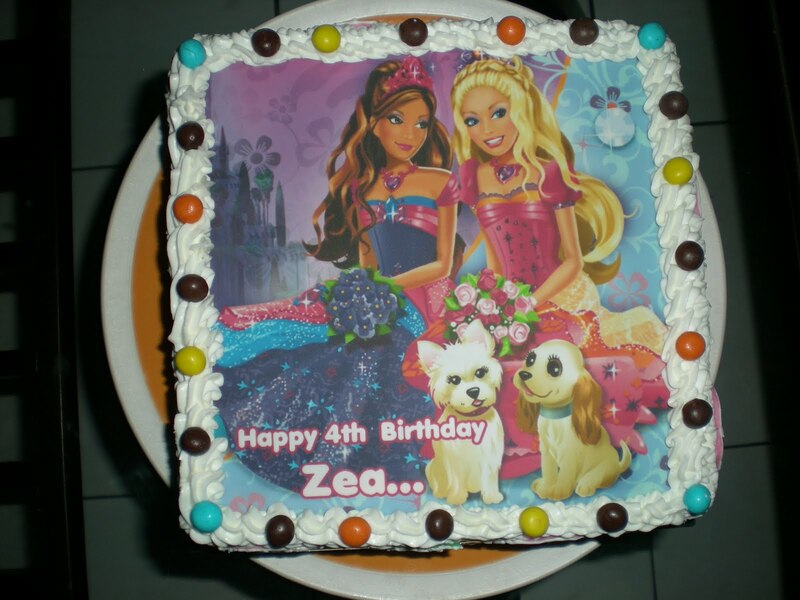 From Najla's first blue jeans trousers until Zea's first princess long dress. It's all because I needed to wait for 3 years of marriage before God blessed us with Najla's birth, therefore at the time Najla was born, my hubby and I were overjoyed. I was crazy about baby girl stuff. I could not resist the urge of buying any items related to baby. Beside the above books, I also love the graphic novel Trilogi Warna (Warna Tanah & Warna Air) by Kim Dong Hwa, I am still waiting for the third book, Warna Langit. Here comes January, the first month of the year, my favorite one. Just like the other new years eve, we just stayed home. Never been interested to join the crowd, the traffic jam and all the hustle bustle. We're already happy with each other company. As long as we got each other, we need nothing more. So..our new year's eve was filled with family, books and sekoteng. That's all. Today is our new year baby 4th birthday, happy birthday lovely Zea. Mama, Ayah & Kakak Najla wish Zea all the best things in life. Thank you for being such a great little girl all this time. Big thanks to Toko Kue Kuki-Kuki for the special birthday cake. Zea loves it very much. Thx auntie Bimbim.